Murder is the most serious crime in the State of Maryland. It carries a possible sentence of life imprisonment or in certain aggravated cases, the death penalty. We understand that quality representation requires assembling a team of numerous professionals to assist in the preparation and presentation of the defense. The team may include an investigator, a forensic pathologist, a DNA expert, or other professionals as the case requires. 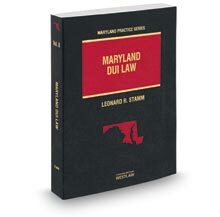 The firm has experience putting together such teams of experts and litigating these cases in courts in Montgomery, Prince George's, and Anne Arundel Counties.